Electricity tariffs for households have risen 25% from March 1, the Ministry of Finance responded to the Russian lawsuit in London court and announced the start of social payments verification, the National Bank eased a number of forex rules, and Japan is to allocate a new $300 mln loan for Ukraine. These are the main economic news of the past week. The beginning of last week has brought the long-awaited spring warming and, unfortunately, another increase in electricity tariffs. National Commission on Energy Regulation and Utilities on March 1 raised the minimum tariff for electricity for the households by 25% - up to 57 kopiykas per kWh. The tariff was reviewed as part of a two-year schedule, approved in February 2015, and the next review is still to come on September 1, 2016. In addition, as commission warned, the minimum tariffs for gas for the households and thermal power companies are also expected to rise this April by 53%, or up to UAH 5,500 UAH per 1,000 cubic meters. But there was also some good energy news this week. The Cabinet on March 2 approved and submitted to the Rada a bill on the electricity market, providing for the elimination of monopoly. Commenting on the decision of the Government, Prime Minister Arseniy Yatsenyuk noted that the bill as a whole was endorsed by all Western partners, including the EBRD, USAID, and the World Bank, and will allow choosing electricity suppliers. Also last week, the Minister of Energy and Coal Industry, Volodymyr Demchyshyn announced that tripartite gas talks with the participation of the EU will be held before late March. The talks are expected to cover the issues of gas transit and gas purchase. The European Commission, which has been a mediator between Ukraine and Russia for quite a while, called for Kyiv to get prepared for the next heating season and the new negotiations with Gazprom, without waiting for the ruling of the Stockholm arbitration. According to European Commission forecasts, the court may not manage to resolve the gas dispute between Naftogaz and the Russian monopoly by the end of 2016. Experts believe that Gazprom deliberately delays proceeding in Stockholm. " Delays in the arbitration are an additional factor of uncertainty with regard to Ukraine, which Russia and Germany – by the way, we don’t know which of them to a greater extent – are using to justify the need for Nord Stream-2," president of the Strategy XXI Center Mykhailo Honchar has said in an interview with UNIAN. In his opinion, the arbitration can go on until 2019, when the disputed contract with Gazprom actually expires. 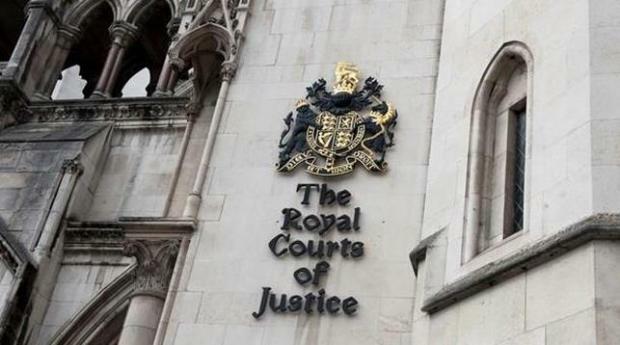 There were some developments regarding another, just as interesting dispute between Ukraine and Russia, this one in London court. One of the key events during a relatively quiet last week in the economy was Ukraine’s response to the lawsuit lodged by the Russian Federation with the High Court in London, as Moscow is trying to recover a $3 billion loan granted in December 2013 through the purchase of eurobonds via the Irish Stock Exchange under the agreement between Russian President Vladimir Putin and then President of Ukraine Viktor Yanukovych. Russian officials have said that Ukraine has until March 4 to respond to the lawsuit, so that the court could schedule hearings. And Ukraine’s response was “complex and multi-layered." Firstly, at the beginning of last week, the Ministry of Finance of Ukraine has resumed payment of coupons on external state loan bonds, paying the first coupon on the new bonds issued in November 2015 as part of the debt operations. The Finance Ministry transferred $ 473.3 million to the creditors who took part in the operation and received new bonds in return for the restructured ones. Thus, the creditors who had not refused to negotiate with the Ukrainian authorities received their first bonus: all of them, except Russia. Secondly, late Thursday, Ukrainian Finance Ministry issued a statement indicating that Ukraine had submitted to London's High Court confirmation of its receipt of procedural documents, where Ukraine confirmed its intention to defend itself in a lawsuit brought by The Law Debenture Trust Corporation Plc in relation to the so-called debt to the Russian Federation. "Ukraine re-confirms its previously stated intention vigorously to defend the claim. The Ministry of Finance of Ukraine has instructed the leading international litigation firm Quinn Emanuel Urquhart & Sullivan to represent Ukraine in the proceedings," the statement said. The company has dealt with more than 2,500 international arbitration disputes, 88% of which resulted in gains for its customers worth over $50 billion. 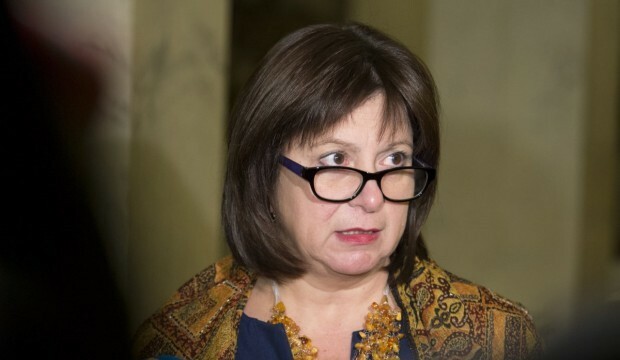 Ukrainian authorities are carefully preparing for trial, however, they do not intend to disclose details of such preparation and their defense strategy, Ukrainian Finance Minister Natalie Jaresko told journalists on Friday "It's hard work that we don't want to reveal. We will work to protect the interests of Ukraine," Jaresko said. In addition, the Ministry of Finance last week focused on a project unprecedented for our country - verification of social payments. Last week, the Finance Ministry announced the official start of the verification of recipients of pensions and social benefits. Presenting the project, the finance minister stressed that such a comprehensive inspection will be conducted for the first time in the years of Ukraine's independence. She assured that the verification does not mean a halt to payments and does not threaten honest citizens, as it involves analysis of data from different sources. The payments will only stop after scam schemes are revealed. The minister said that a pilot verification regarding internally displaced persons has already been held last year, which resulted in saving over UAH 1 billion of budget money previously received in illegal schemes, while honest citizens were not affected. According to ministry’s estimates, the State Pension Fund will spend over UAH 350 billion for all social support programs in 2016. Experience of similar inspections conducted in other countries shows that about 30% of social payments may not go as intended. "According to our estimates, due to the verification, we may potentially save a minimum of UAH 5 billion of budget money in 2016. The key task of verification is to help identify the frauds among the recipients of social assistance, as well as [the so-called] ‘dead souls,’ thereby ensuring the effective use of taxpayers' money," Jaresko said. The Finance Ministry said that the completion of testing is expected by July 1, after the verification will be conducted on an ongoing basis. To ensure such inspections on a regular basis, the Cabinet last week decided to create a unified database of the e-data on the Ukrainian citizens. At its core, it will have the registers of the National Bank, the Pension Fund, the social insurance funds, enterprises, banks and financial institutions, regardless of ownership. The bankers supported the initiative. For example, the state-owned Ukrgazbank has recognized that the problem of illicit accrual and receipt of social benefits actually exists. Referring to the procedures of the Ministry of Finance, the bank assured that the verification is in no way a threat to banking secrecy as a necessary amount of information about the recipients of social payments is minimal and cannot be used for the benefit of third parties. The Ministry of Social Policy is also working on revealing illegal recipients of social payments. Last week, the press service of the department, referring to the Security Service, reported that up to 40% of IDPs claim social benefits illegally, because they get the money in Ukraine, while actually residing in the territory of so-called “LPR-DPR.” "Each week, the Security Service of Ukraine detains couriers with a bunch of credit cards and cash transported to the militant-controlled territories. Since early 2016, the law enforcers seized the equivalent of nearly UAH 35 million in cash," the press service said quoting Minister Pavlo Rozenko as saying. The ministry added that the money can directly or indirectly get to the militants. 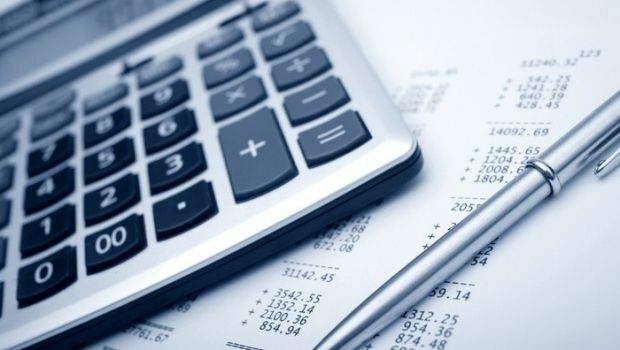 The budget losses caused by fraud in social assistance payments to pseudo-IDPs range between UAH 6 bln and UAH 12 bln a year, according to the ministry's press service. These billions with a high probability reemerge at the "black" currency market, which last week did not go unnoticed by the country’s financial regulator. Last week was marked by another stage of liberalization of currency market. 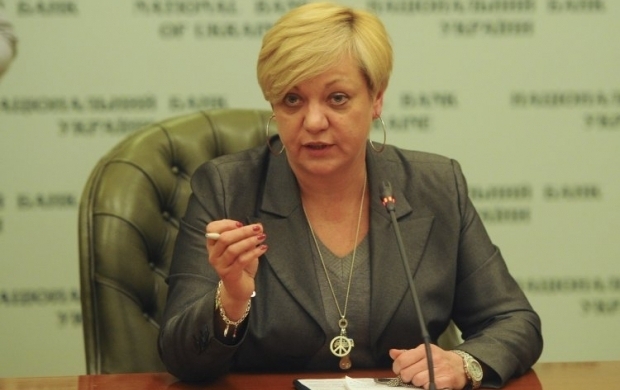 The main innovations announced by NBU Governor Valeriya Gontareva Thursday relate the cash market. From March 5, citizens are allowed to take from banks and ATMs up to UAH 500,000 and the equivalent of UAH 50,000 in foreign currency per day, whereas previously, the maximum daily amount of cash issuance almost half of that – UAH 300,000 and UAH 20,000 respectively. The NBU also doubled the ceiling of sale of the cash currency to individuals – up to UAH 6,000 per day. In addition, the regulator pledged to return in the near future the opportunity for importers to prepay for critical imports without restrictions on contract volumes. The market took currency innovations ambiguously. On the one hand, the Ukrainian hryvnia in recent months has been slowly but surely becoming cheaper. According to the NBU estimates, since the beginning of the year the national currency depreciated by 13.4% - to UAH 27.2 to the dollar. Meanwhile, the "black” market clings to the last year’s maximum of 29-30 UAH / USD. To support the hryvnia, the NBU over the two months has already held 13 currency sale auctions, selling $298 million from its reserves to the banks. 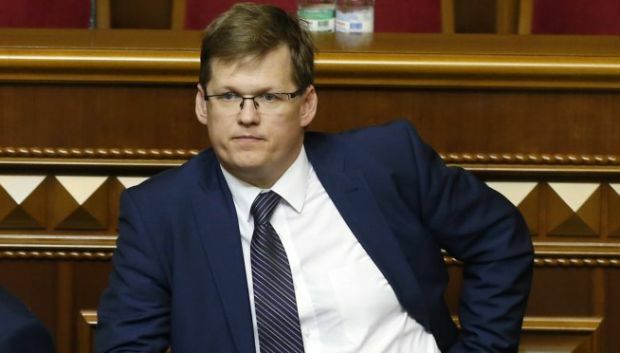 Under these conditions, the NBU’s decision to "loosen the reins" was an unexpected and pleasant surprise, as experts have repeatedly drawn attention to the fact that administrative levers are now poorly performing their function to support the hryvnia, instead actively supporting the "black" market. "Banks, just as customers, really waited for some easing. The lowering of the restrictions bar is a sign that the situation in the country is getting better," head of deposit products and current accounts department at UniCredit Bank Iryna Strepetova said in comments to UNIAN. According to her, the liberalization of the foreign exchange market will help in the difficult process of rebuilding trust between banks and customers, because the clients will no longer be afraid to place money on deposits, because they will be able have it back upon request. However, the banker has warned that the effect of easing of forex rules is unlikely to be seen immediately, it will rather be gradual given the National Bank continues its policy of liberalization, and the investors begin to return to the banks. On the other hand, the bulk of the restrictions interfering with the business and preventing foreign investment will remain in place for another three months. It is about a mandatory sale of 75% of foreign exchange earnings by exporters and a 90-day monitoring of payments under foreign trade contracts, as well as a ban on early repayment of loans to non-residents, return of investment and transfer of dividends to foreign investors. In addition, the requirement is extended to coordinate with the NBU applications for purchase of foreign currency exceeding the equivalent of $50,000. In addition, the National Bank has kept the annual discount rate at 22% for the fourth consecutive month, traditionally promising easing of monetary policy in the future given the reduced inflation risks. The regulator’s cautiousness is clear - a memorandum with Ukraine’s key creditor, the International Monetary Fund, on which the fate of the national currency and the stability of the domestic economy depends, has still not been agreed. 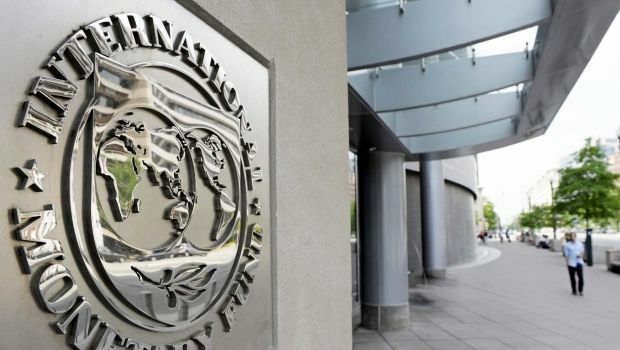 The IMF last week has once again assured that he is ready to continue cooperation with Ukraine but expects more clarity from Kyiv about the status of the government and the parliamentary coalition. "We would like more clarity - the government and the coalition. Director of the IMF Communications Department Gerry Rice admitted though that Ukrainian President Petro Poroshenko, quite clearly expressed commitment to reform. He noted that the list of required reforms has long been known and is represented both in the cooperation program, and in the draft memorandum on the second review of the program, which is still being agreed in the Ukrainian government. In response to this statement, Finance Minister Natalie Jaresko said that the Ukrainian authorities continue to work on harmonization of the updated Memorandum." "It's a living draft, every week, something changes," she said, stressing that there are no specific problems in the memorandum, but it is constantly adjusted. Jaresko also said that the allocation of another tranche from the IMF is possible only after a meeting of the Foundation Council, but until the Memo is signed, the IMF cannot set a date for such meeting. "Now we have to concentrate on the Memorandum, to agree all these details, and after that, there will be the signing and the meeting of the Council, and the allocation of tranches," she said. Meanwhile, international partners continue supporting Ukraine. In particular, Ukraine and Japan have ratified an agreement on the allocation of the second loan for development policies in the amount of $300 million. The agreement will come into force in March, while the flow of funds is expected in April of this year. Under the agreement, the loan is provided for 20 years, with a six-year grace period. The rate is set at LIBOR plus 0.5%, which is currently less than 1%. "Foreign governments would not have supported our country, had there been no reforms," said the finance minister during the deal presentation, reminding that Japan has been Ukraine’s partner for many years, and its total financial assistance reached $1.8 billion. The next week promises to be just as exciting: on March 9, the planet will witness a total solar eclipse, and the State Statistics will publish data on February inflation. Stay tuned.